Published on January 1, 2017 in Bands/Artists, Eastern Iowa, Interview, Little Village Magazine, Music, Out and About, Personal History, Reviews and Vinyl. 0 Comments Tags: 2016, Bo Ramsey, Bon Iver, Brendan Darner, Cartouche Records, Chrash, Christopher the Conquered, Colemine Records, Devin Frank, Durand Jones and the Indications, Freakwater, Halfloves, Hiss Golden Messenger, Iowa Bands, Kalispell, King of the Tramps, lissie, little village magazine, Matador Records, Max Jury, Maximum Ames, merge records, Scott Hirsch, SIRES, Steve Gunn, The Multiple Cat, The Pines, top 20, Twins, William Tyler. 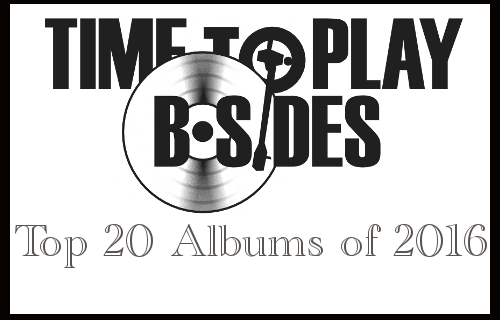 2016 was the 10th birthday of It’s Time to Play B-Sides, as unreal as that seems. 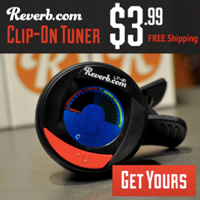 This blog started as an offshoot of the regular conversations about music I was having at work with my friends and co-workers. At the time there wasn’t the proliferation of music sites that there are today, and informed or researched information about music was tough to find. With encouragement from my friends, I started this as a way to capture some of the tangents we’d get into at work. It also ended up being a return of sorts to doing a music website after shuttering the somewhat popular website I was running about DJ Shadow. The name of the blog came from the signoff post I made to the DJ Shadow boards and was also a line from “Burning For You” by Blue Oyster Cult which always represented the desire to dig a little deeper into music– to flip the record over and listen to the songs on the B-Side. The focus of It’s Time to Play B-Sides has morphed a bit over the years, some of it due to the amount of time I have to dedicate to writing on it, some of it is because I have focused a lot of my music writing since 2009 as a contributor to Little Village Magazine. This also explains why this list includes a lot of Iowa artists since that’s what we review. That said, there are some really amazing bands in Iowa and even after I review the albums, they stay in regular rotation for me and earn spots on my list. As many will note, 2016 was a really strange year for music– sadly, mostly notable for the striking number of losses: Glenn Frey, David Bowie, Sharon Jones, Greg Lake, Leonard Cohen, Leon Russell, Merle Haggard, Maurice White, and Paul Kantner. The one that really hit me hard was the loss of Prince. Prince represented for me the first artist that I discovered on my own. Most of my formative music taste came from my father and that music is still a big part of the foundation of what I think is good in music. Prince came onto the larger music scene for me with Purple Rain, and from there I followed his career, and bands he worked with closely. I don’t think that we’ll see another artist quite as influential or as boundless in talent and genius again. I hope I’m wrong, but I feel like part of his ability to branch out was due to the fact that he hit it big during a time when the music industry was creating huge stars and he could afford to make some albums that were more daring and experimental. The list below is in no particular order, but represent the albums that I listened to the most in 2016. Lissie – My Wild West – Rock Island-native Elisabeth “Lissie” Maurus becomes homesick and moves back to Iowa and self-releases an album based on the experience. Full of hooks, driving and anthemic, it’s a great start to a career back home. Here’s my review from Little Village. King of the Tramps – Cumplir con el Diablo – A later addition to the list. King of Tramps from Auburn, IA packs a lot of classic guitar-driven rock remniscent of Black Crowes into their latest effort (which comes in a super-cool transparent vinyl version). Here’s my review from Little Village Magazine. Hiss Golden Messenger – Heart Like A Levee – MC Taylor’s second full-length on Merge started as a project to create musical accompaniment to an exhibition of photographs taken by William Gedney in 1972 of an Eastern Kentucky coal-mining camp. Initially the songs were going to be based on the photographs, but eventually took their own direction. The album is distinctively HGM with Taylor expressing the developing perspective of a man coming to terms with balancing a family life and a music career. I’ve been a fan from before the first release as HGM and eagerly await the next releases. Steve Gunn – Eyes On The Lines – I found out about Steve Gunn through his connection to Hiss Golden Messenger– a one-off collaboration called Golden Gunn. His 2016 release is his debut on Matador Records. To me, his music is influenced by the great UK guitarists like Richard Thompson and Michael Chapman (whose upcoming release 50, he produced and played on). William Tyler – Modern Country – Nashville guitar wizard William Tyler, who works with a lot folks including Hiss Golden Messenger and Lambchop, released another album of his particular atmospheric guitar acrobatics. For me, his albums add a wide cinematic soundtrack to whatever I’m doing. Scott Hirsch – Blue Rider Songs – Scott Hirsch is the silent partner in Hiss Golden Messenger, but for his debut solo album (which has been a long time coming, frankly) he delivers a breezy laid-back album that sounds like JJ Cale’s best work. Bo Ramsey – Wildwood Calling – Bo Ramsey returns with his first album since 2008’s Fragile. This album, recorded in his kitchen is instrumentals showcasing his distinctive country blues style he is reknowned for. Read my review in Little Village Magazine. The Pines – Above the Prairie – It’s safe to say that any time The Pines release a new album, it will be on my favorite albums for that year. Their signature atmospheric take on folk and blues has developed slowly over the releases to the point where it is nearly its own genre. I can’t think of any other bands that sound quite like The Pines. Read Matt Steele’s review in Little Village Magazine. Freakwater – Scheherazade – This reboot of Freakwater was a long time in the works, but turned out one of the best albums in their catalog. Scheherazade is a more rich and expansive version of their sound thanks to the band, which includes Jim Elkington of seemingly every band related to Chicago. Read my interview with Janet and Catherine in Little Village Magazine (Part 1, Part 2). Halfloves – (self titled) – The Iowa band The Olympics reboot with the guiding hand of Brendan Darner to create a dark pop record of singular vision and execution. Read my review in Little Village Magazine. Max Jury – Max Jury – After a run of amazing singles and an EP, Des Moines native Max Jury releases his debut album, and the anticipation built by the singles was justified. Max Jury is a jaw-droppingly solid album. From my review in Little Village Magazine, “a balanced delivery of Spector-esque wall-of-sound and an updated take on early ’70s R&B and soul.” It’s too bad that it’s going to take Jury moving to the UK and blowing up over there before his native country takes notice. TWINS – Square America – More Sires, please. This seeming dynasty of anyone with the last name Sires cranking out amazing pop rock continues with Cedar Falls band TWINS, whose second album on Maximum Ames takes their guitar rock guns and point them at 70’s big hitters like Cheap Trick and KISS. These guys continue to slug it out on bar stages, but could easily fill an arena with their big sound if given the chance. Read my review in Little Village Magazine. Devin Frank – The Vanishing Blues – Devin Frank of Poison Control Center releases an album influenced by 60’s psych. “With The Vanishing Blues, Frank has made a refreshing stylistic statement by using a sonic palate derived from psychedelic rock’s dawning era — using bits of Syd Barrett, Donovan and the Zombies. This makes the album a delightfully unique and compelling standout in the landscape of releases this year.” – from my review in Little Village Magazine. The Multiple Cat – Intricate Maps – This was an album I feel like I waited a long time for. I first heard these songs when Pat Stolley brought the band to Mission Creek Festival in 2015 opening for The Sea and Cake at The Mill. Really fantastic album that is tough to summarize. Lots of vintage tones in the guitar sounds, but not really a retro record, “It’s tempting to suggest that Stolley’s use of these elements makes Intricate Maps somehow retro. However, this stitched fabric of sound is more than the sum of its parts. It is a polished work that both honors the tradition of alternative rock and puts a current spin on it with Stolley’s signature production work.” from my review in Little Village Magazine. Christopher The Conquered – I’m Giving Up On Rock & Roll – Dramatically bold anthemic rock that can barely be contained in a record. Christopher the Conquered is a one-man tour-de-force of pop, funny poignent and self-aware. Here’s my review for Little Village Magazine. The Time to play b-sides archives for the christopher-the-conquered tag.